Coordinate system: 26917 - "NAD83 / UTM zone 17N"
The 2016 City of Cambridge digital mapping data contains very detailed topographic and planning information. 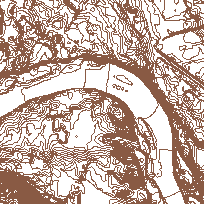 This dataset contains contour lines which represent the elevation within the City of Cambridge Boundaries. Metadata was created by Scholars Portal in consultation with the University of Waterloo Library. For reference and mapping purposes.